Jesusa (Suzette) Ramos, DPT, is an experienced physical therapist, a Kinesio Taping® practitioner, and an ergonomic assessment specialist. She provides exceptional therapy for a range of conditions at Total Health Physical Medicine & Rehabilitation Center in Florham Park, New Jersey. Dr. Ramos uses her knowledge and skills to improve the quality of life of people with pain, paralysis, and other musculoskeletal and neurological problems. Her goal is to help patients return to the highest level of function possible, with an optimal range of motion and minimal pain. Hailing from the Philippines, Dr. Ramos is fluent in Tagalog. She received her bachelor’s degree in physical therapy from De La Salle University in Manila. She earned her doctorate in physical therapy from Utica College in Utica, New York. 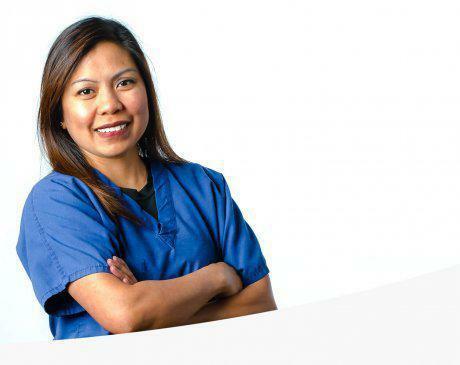 Dr. Ramos is passionate about her work as a physical therapist, which continues to be an incredibly rewarding and fulfilling experience. In addition to her career, she and her husband, Juanito, enjoy raising their children, Jamie and Justin.